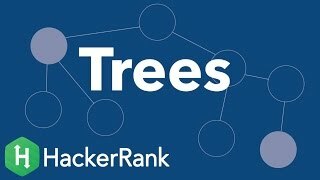 Trees: Is This a Binary Search Tree? Check out the resources on the page's right side to learn more about binary search trees. The video tutorial is by Gayle Laakmann McDowell, author of the best-selling interview book Cracking the Coding Interview. The value of every node in a node's left subtree is less than the data value of that node. The value of every node in a node's right subtree is greater than the data value of that node. The value of every node is distinct. - All of the numbers on the right branch from the root are not larger than the root. 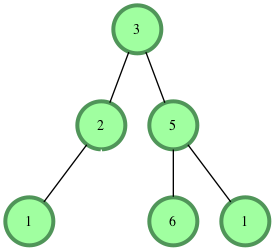 - All of the numbers on the right branch from node 5 are not larger than 5. - All of the numbers on the left branch from node 5 are not smaller than 5. - The data value 1 is repeated. Complete the function checkBST in the editor below. 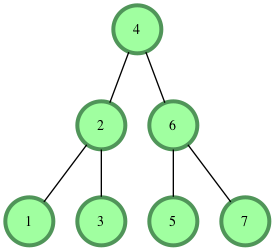 It must return a boolean denoting whether or not the binary tree is a binary search tree. You are not responsible for reading any input from stdin. Hidden code stubs will assemble a binary tree and pass its root node to your function as an argument. Your function must return a boolean true if the tree is a binary search tree. Otherwise, it must return false. The tree in the diagram satisfies the ordering property for a Binary Search Tree, so we print Yes.